We are here for you to answer any questions about your project. We understand that you may be unfamiliar with construction processes so any question is a good question. Q. Will you “beat any written estimate”? A. Most of the time this is NOT a good way to choose a remodeling contractor. 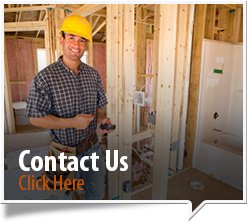 We work one-on-one with every client and take pride in our superior service and workmanship. We use only high quality materials designed and constructed to offer long lasting durability. We do our best to keep our pricing very competitive without cutting corners by using cheap materials or labor. We have all heard the horror stories about contractors who are willing to beat any written bid, then once your project is in full swing they tell you there is no more money left in the budget and need more to complete your project. With us it is very simple, our written price on the contract is the price we stick to and if it winds up costing us out of pocket because of our miscalculation then we won’t make that your problem. Throughout the designing and estimating process we provide money saving options to try to accommodate strict budgets. A. That depends on the scope of work being performed. 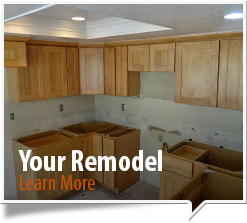 Most cabinet refacing projects 4-5 days. New custom cabinetry with demolition of existing cabinetry 4-5 days. A. No. We only ask that someone be on site the first day of construction for possible customer instructions for securing the property at the end of the day and the progress payment collection. A. We accept cash, checks and credit cards. At the signing of your contract a deposit of 10% or $1,000 whichever is less will be due. Once your project begins you make progress payments. The contract payment break down is designed to keep the amount of goods and services and payments as even as possible. Q. What happens if you find mold or existing damage? A. Our installer will notify you so that you can see the damage. Then we can give you an estimate for the repairs or if necessary refer a properly licensed contractor to do the repair or you can do it yourself. Q. Who will actually be performing the work in my home? A. 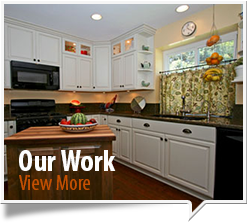 Licensed professionals from Precision Cabinetry. Q. What are the areas you serve? A. North to Murrieta/Temecula, south to the border, east to pine valley and west to the beach. Q. Do you use subs? A. Not typically, but some more extensive projects may require special expertise. If subs are going to be used it will be disclosed prior to contracts being drawn up. Q. Can you do custom stain matching? A. Yes. 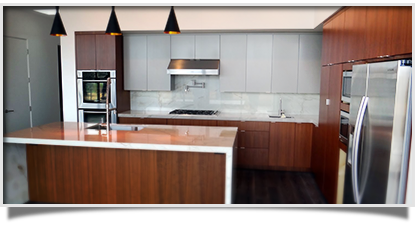 Most of our cabinetry finishes are custom. Q. Do you use text? Q. Do I have to empty my cabinets for a reface? A. Yes. Special assistance for the handicapped that are unable to perform this task will be available.